We had an uneventful weekend. It was scorching hot both Saturday and Sunday, and I wanted to limit my time in the kitchen as much as possible. One of the meals was a quick pizza I put together. Everything was basically ready to eat. All I did was melt the cheese and warm up the bread. 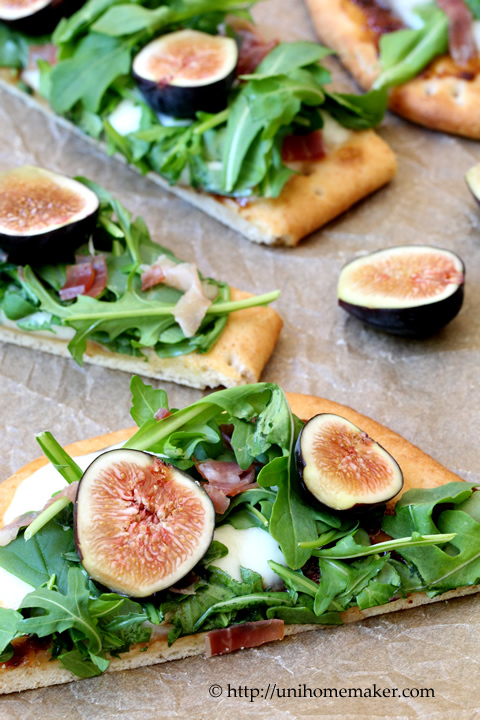 Aren’t flatbreads wonderful? They make for a really quick meal. Yes, I had the oven on on a scorching hot day, but it was for a short amount of time and totally worth it. I wanted to use up the last of my ricotta cheese because it was about to expire! I hate waste and I wasn’t about to let it go into the trash. I had some prosciutto slices so I thought about using them in crostini. I picked up some arugula and some gorgeous organic brown figs. These crostini were so tasty! I’ll have to serve them at my next dinner party. 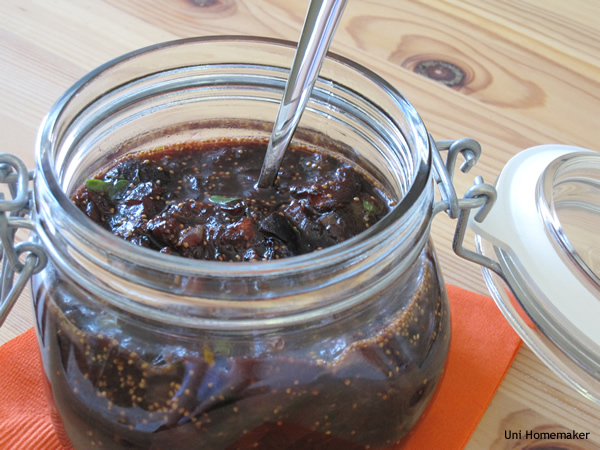 A while back, I bought a jar of Roasted Garlic Onion & Fig Jam. I used it in everything I could think of. Sandwiches, salad dressings, quick pan sauces, and on my cheese platters. The jam is long gone so I was inspired to make an at-home version. 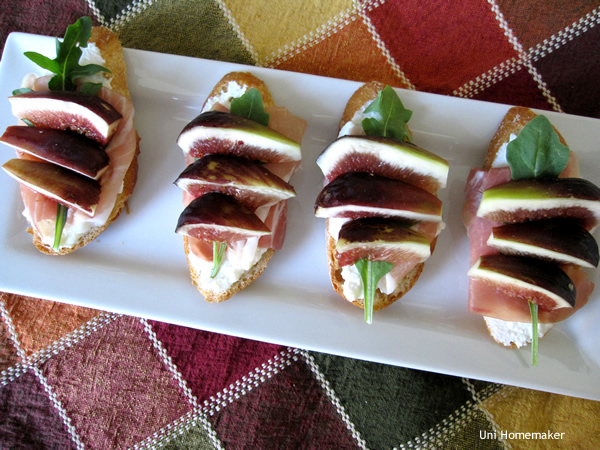 Since figs are in season —why not?